We are well aware of the fact that quality study material is not easily available in the IT industry. Our quality Certification Exam preparation study material provides you the opportunity with great confidence to pass your certification exam in first attempt. Complete coverage of the certification exams. Everything has been verified by our professional certified partners who know everything you need to pass the exam. 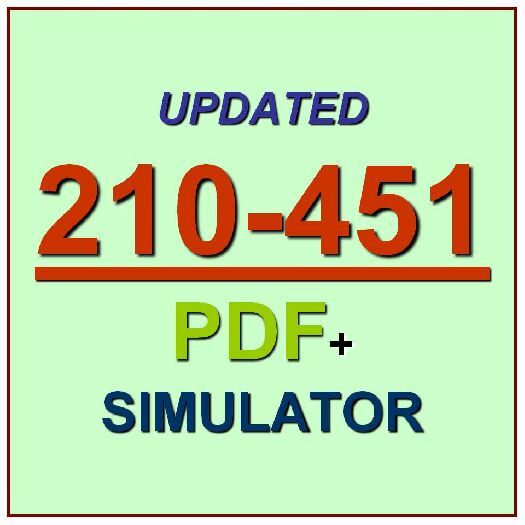 Our Exam Simulator is designed exactly on examination pattern. It will make you feel like you're taking the actual exam! After you purchased this item, be sure to check out our eBay store for more quality Certification Exam Preparation Study Materials. You will receive unlimited free update within a year after you purchase this item. Simulator is Windows based program. Simulator runs on any version of Windows products. MAC user need Windows emulator such as "WINE" to run the Simulator. We also have large selection of Ebooks and CBT (computer-based video training) materials. Let us know if you are interested.